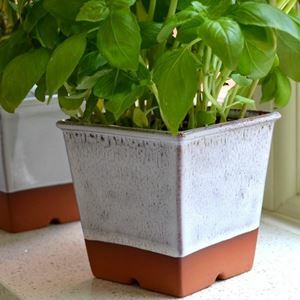 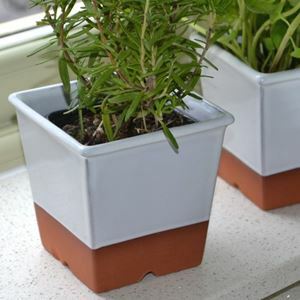 A range of windowsill herb pots designed to accommodate fresh herbs purchased from supermarkets which are sold in square plastic pots. 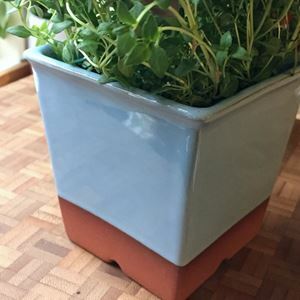 The plastic pot containing the herb plant will fit directly into our tailor made square pot. 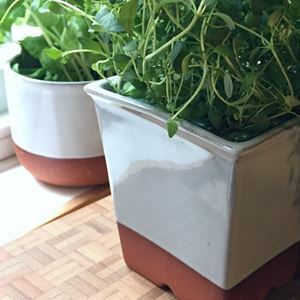 The herb pot has a glazed interior & no drainage hole - No leakage & no saucer required. 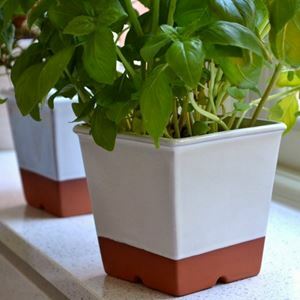 Simply remove for watering & allow to drain before replacing. 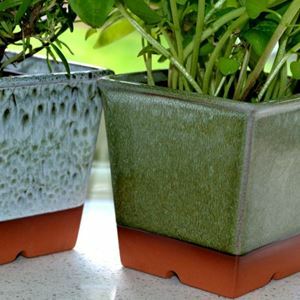 With careful watering plants will remain fresh & in good condition for several weeks. 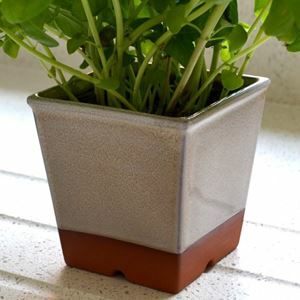 With a variety of coloured glazed finishes available there is a herb pot to suit all kitchen styles. 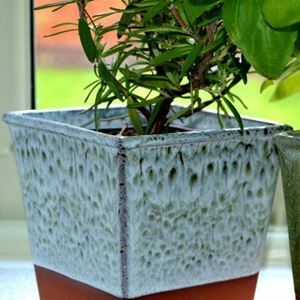 Quality UK made at our pottery studio.